Hunting for the top pricing on Lexmark laser toners? Buying your Lexmark C534n toner with us allows you to help save a great deal of money and time. Due to Cartridge Save's affordable offers and lowest price policy you can be certain of receiving the best value bargain on Lexmark C534n toner cartridges. Cartridge Save aim to meet the needs of each buyer by giving you great prices on all Lexmark C534n toner cartridges that have been constructed to the most stringent specifications. Fantastic Deals Now For All Lexmark C534n Toner! We give you speedy and free delivery on Lexmark toner. You can start saving right now when you buy low cost Lexmark C534n toners by using Cartridge Save's online store. Cartridge Save provide an award winning customer satisfaction team to help always make sure that buying Lexmark C534n toner is a fast and convenient experience. Customer care is Cartridge Save's top concern so we give shoppers a guarantee for all Lexmark C534n toners to guarantee that you will get 100% satisfaction. We're offering next day delivery, reliable cartridges plus the lowest prices. It will make sense to stay with us for C534n toner cartridges. 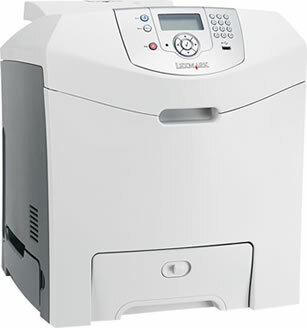 The Lexmark C534n is a rapid printing machine that is ready to handle any situation that a small business or a busy home office may require. This laser and colour printer is able to distribute up to 24 pages per minute in either colour or black and white. The Lexmark C534n comes standard with 4800 Colour Quality image enhancement technology to produce spectacular colour definition and improve resolution. Print resolution is measured at 1,200 x 1,200 dpi for the Lexmark C534n. In addition, this printer is fast and will quickly produce a first print in only 11 seconds in colour or black and white. This printer can be easily accommodated by any countertop or large bookshelf having dimensions of only 43.94 cm in width, 51.30 cm in depth, and 48.51 cm in height. A 100 sheet multipurpose tray is paired with a 250 sheet input. To catch documents, the Lexmark C534n employs the use of a 250 sheet output bin. Lexmark C534n toner is not limited in its life cycle and can produce up to 6,000 pages before needing replacement. As part of its processing unit, the Lexmark C534n uses a 500 MHz processor and 128 MB of RAM to manage multiple print jobs. This printer is also certified as energy efficient. Installation of a replacement Lexmark C534n toner is quick and requires no additional equipment or knowledge. Duplex printing is also made available and is a beneficial feature that, over time, can reduce paper consumption. This can eventually lower your company's carbon footprint and increase monetary savings on paper. A monthly duty cycle of 100,000 impressions will be sure to meet your printing demands in any high-volume application. Also, an Ethernet connection or USB cable will easily connect the printer to a computer that has one of the various supported Windows, Mac, or Linux operating systems. Furthermore, an internal print server can give different computers access to printing using only one printer. This printer is not without faults and operates loudly at a sound emission level of 53 decibels, a level that can be unreasonably loud for some users who would prefers a quieter printing experience.